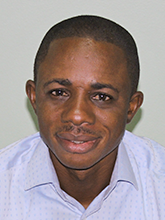 Jean Pierre Okenda is a human rights defender and researcher in extractive industries governance. He has 11 years of ground experience within extractive industries, including eight years of continuous experience with international nongovernmental organizations. He also has deep field experience in the implementation of the Extractive Industries Transparency Initiative process. His experience with international organizations in the extractive sector encompasses field research and analysis, transparency and accountability, contract analysis, social development, legal framework, technical assistance, training, human rights impact assessment, lobbying and advocacy. He has carried out several field researches and studies and analysis. He has authored or co-authored numerous articles and reports. Jean Pierre joined NRGI in September 2015. 7 hours 33 sec ago. 8 hours 58 min ago.